This year I am going to Gambia to facilitate a World Community Arts Day event in a school there to launch an ongoing Art Aiding Africa project in Gambia. 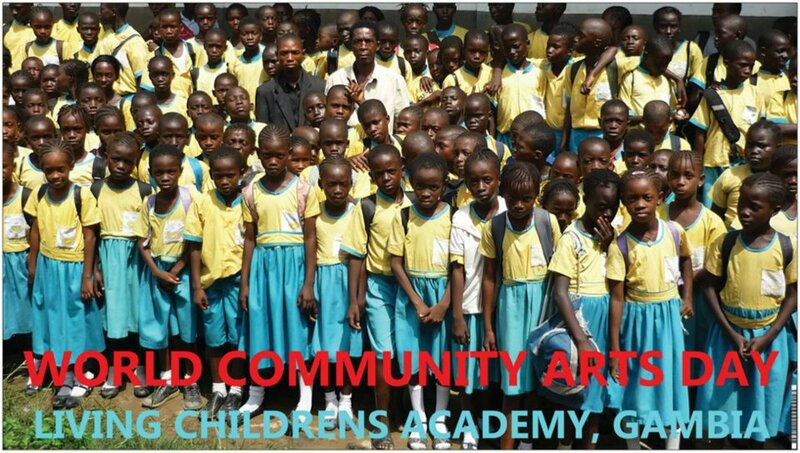 I have helped the school in small ways since 2004 and will continue to do so, introducing World Community Arts Day to the Gambians as a means of promoting caring and sharing. I care about the Gambian people and want to share a message with the world about the educational needs of creative and talented young students whose families often struggle to buy uniforms and to pay school fees. The school itself struggles to pay teachers wages. We take so much for granted in Nothern Ireland! I am in the process of getting Art Aiding Africa recognised and registered as a charity in Gambia. There they call them non-government organisations. An NGO can do more there if I can do more at my end. It is a two-way street. I am also trying to get some more support for the cause locally. For those not sure about what Art Aiding Africa (which is me) does, you can check it out on my Facebook page: ART AIDING AFRICA FACEBOOK PAGE I am busy packing, getting the World Community Arts Day banner ready, and making the arrangements (by long-distance), so being my usual hectic self ha ha!